Event Description: This fuktard is a PSYCHOTIC LUNATIC!! He is EXTREMELY dangerous and VIOLENT! He rides on peoples rear bumpers, he pulls up UNDER peoples rear bumpers at stop signs and red lights, he jerks and swerves in and out of lanes IN traffic and BETWEEN vehicles! He is a DANGEROUS LUNATIC! He does this EVERY day when I’m coming home from work! 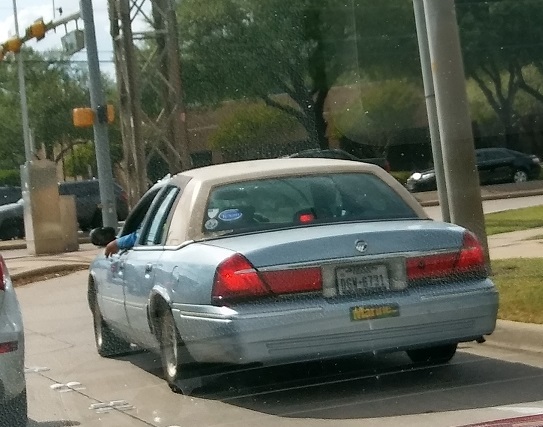 The license plate could be DGV 6731, as V’s and W’s look alike on Texas plates! But it sure looked like a W.